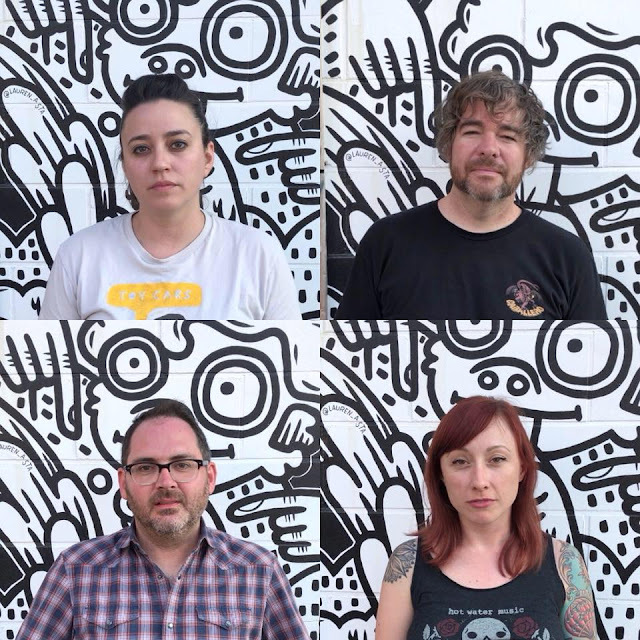 Airstream Futures are a new band from Chicago who's sound straddles genres such as punk, indie, alt rock and who's line up features members of such notable bands as The Bomb, The Methadones, Dead Ending and Bow & Spear. That line up is Devon Carson (vocals), Jeff Dean (guitar/vocals), Megan Edgin (bass) and Mike Soucy (drums). The lyric video you'll find below was put together by Alkaline Trio drummer Derek Grant and the song is about the fight against depression and anxiety. If I was making a comparison I'd say it reminds me a little of the kind of songs that featured on Castro's excellent Infidelity album that came out earlier this year (https://castrotheband.bandcamp.com/). Youth Killed It - What's So Great, Britain? What Did You Expect? - Who Did You Elect?